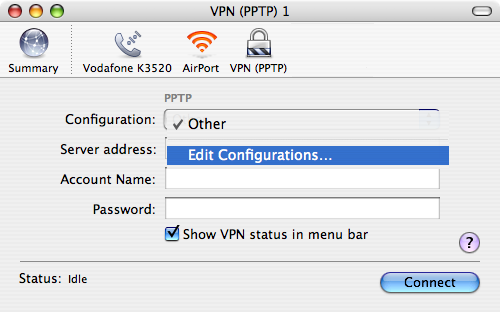 Follow this guide to easily setup a WOW VPN connection using Apple OS 10.4 (Tiger). 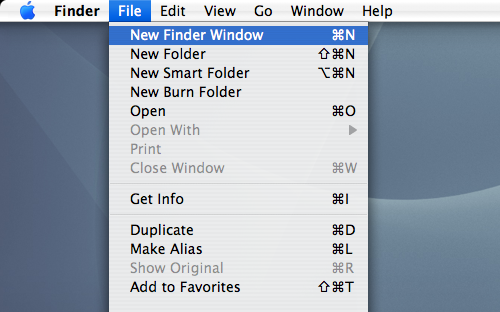 To get started, open the 'Applications' folder by going to the Finder (top left of the desktop) and choosing 'New Finder Window' from the 'File' menu. 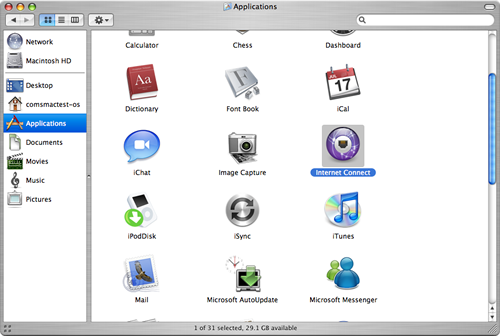 Click on the 'Applications' icon, then scroll down until you see the 'Internet Connect' icon. 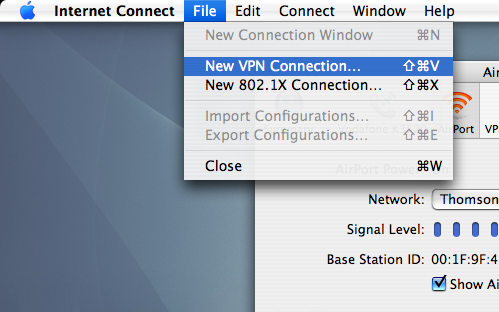 Double–click on the 'Internet Connect' icon. You should see a window like the one below. You should see the following screen. 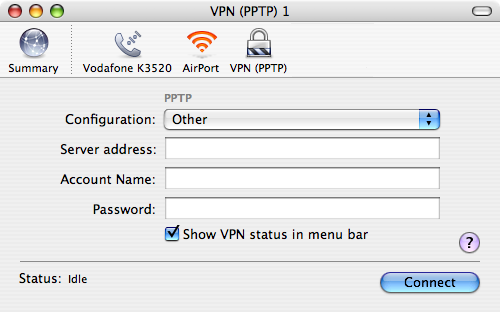 Click 'PPTP', then click 'Continue'. 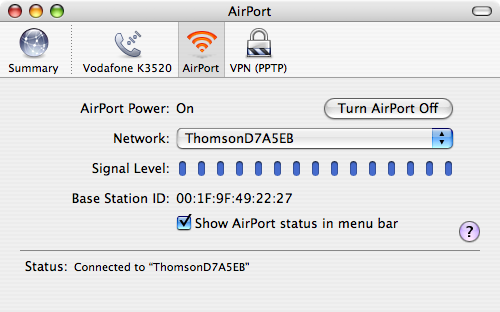 Select the Configuration drop down menu and click on 'Edit Configurations...'. Then click the 'OK' button. 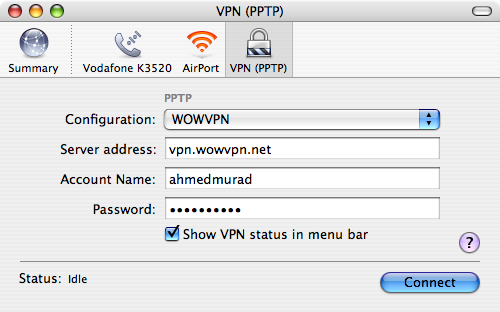 Your configuration is now saved, click on Connect to connect to WOW VPN.